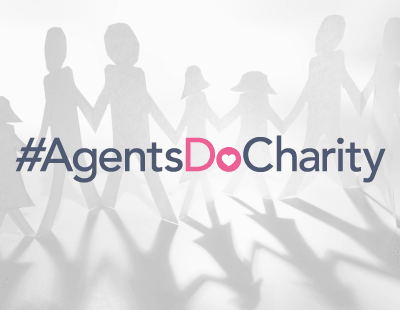 It’s Friday and what better way to kick off the weekend than winning two completely FREE tickets for the industry event of the season - the Charity Christmas ball organised by Agents Giving. But you have to be quick - this exclusive Estate Agent Today contest closes at 4pm today. The Ball - supported by The Tenant Shop and taking place two weeks today on Friday December 7 at The Marriott Grosvenor Square Hotel London - will see the remarkable Agents Got Talent competition and the presentation of the Fundraising Champion Awards 2018. All you have to do is email press@estateagenttoday.co.uk and give us your contact details - and of course, before you enter please make sure you can come to London on December 7. Please check the terms and conditions at the bottom of this page. Closing date is 4pm today - don’t delay! On the night the two lucky EAT readers will hear many heartwarming stories of personal and team challenges and triumphs to help raise funds and awareness for causes close to their hearts. The categories for the 2018 Agents Giving Fundraising Champions Awards are Best Team or Company Fundraising, Best Individual Fundraising, Best Creative Fundraising, Best Industry Supplier Fundraising, Special Fundraising Award and Best Agency CSR Award. Remember - you have only until 4pm to enter our competition - and we’ll reveal the winners on Monday November 26. Good luck! 1. The Promoter of this prize draw is Angels Media Limited (registered in England and Wales under company number 08629863 whose registered office is at Ground Floor, 1/7 Station Road, Crawley, West Sussex, RH10 1HT (the “Promoter”). 2. The Promoter is offering those who enter this promotion a chance to win 2 Free Tickets to the Agents Giving Ball held on December 7 2018 at The Marriott Grosvenor Square Hotel, London. 4. Entrants must be UK residents, aged 18 years or over and working in a UK Estate Agency or supplier. This promotion is not open to any employees of the Promoter or any of their affiliate companies, their families, agents or anyone else connected with this prize draw. 5. One entry allowed per person. Entries submitted on behalf of another person will not be accepted and joint submissions are not allowed. Incomplete, illegible, misdirected or late entries will not be accepted. 6. No purchase is necessary to enter this promotion, however internet access is required. 7. The promotion is open to entries from November 20 2018 to 4pm November 23 (the “promotional period”).